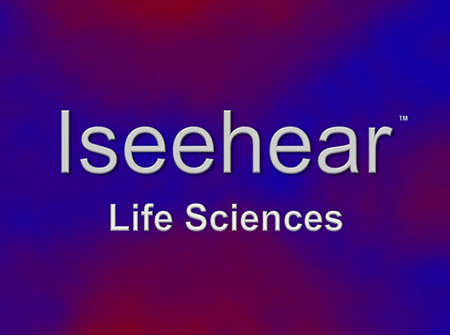 At Iseehear Inc. Life Sciences (Iseehear) we are committed to protecting your privacy. Iseehear endeavours to ensure that the information that you submit to us remains private and that it is used only for the services we provide to you. We aim to provide a safe and secure experience for all of our users. "Cookies" are data files that are placed on your device or computer and often include an anonymous unique identifier. For more information about cookies, and how to disable cookies, visit http://www.allaboutcookies.org . 2. Screen registrations for potential security risk or fraud. We share your Personal Information with third parties to help us use your Personal Information, as described above. For example, we use Mail Chimp for managing our email communication, you can read more about how Mail Chimp uses your Personal Information here: https://www.mailchimp.com/legal/privacy . We also use Google Analytics to help us understand how our customers use the Site--you can read more about how Google uses your Personal Information here: https://www.google.com/intl/en/policies/privacy/ . You can also opt-out of Google Analytics here: https://tools.google.com/dlpage/gaoptout . Additionally, if you are a European resident we note that we are processing your information in order to fulfill contracts we might have with you (for example if you make an order through the Site), or otherwise to pursue our legitimate business interests listed above. Additionally, please note that your personal information will be transferred outside of Europe, including to Canada and the United States.